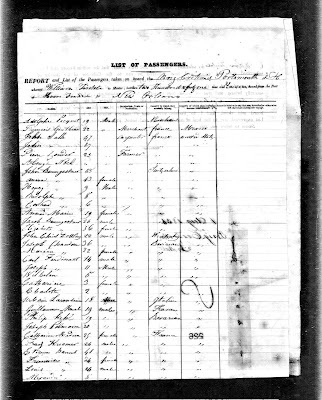 Surname Saturday - Who Was Fannie? 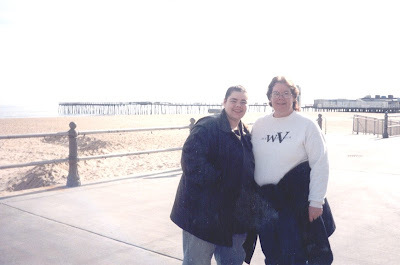 Amanuensis Monday - Lacy Gordon Hedrick, Jr. 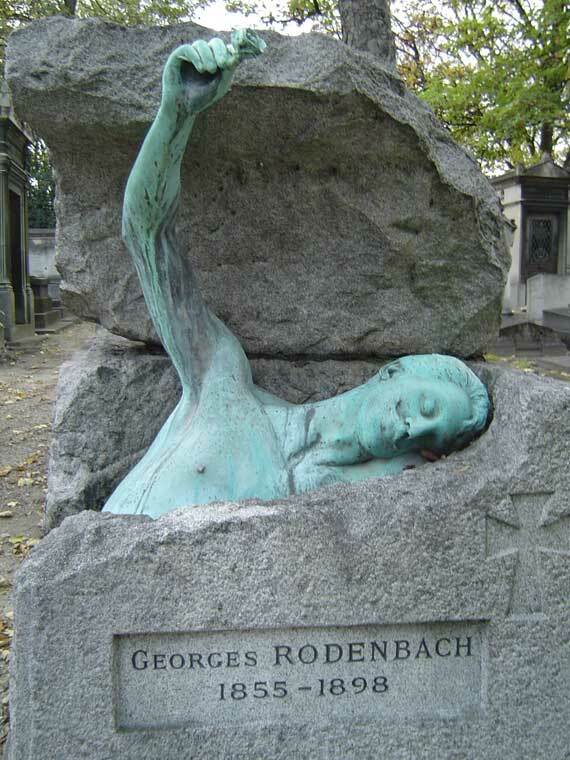 Some Halloween Tombstones For Your...uh hm.. Pleasure! 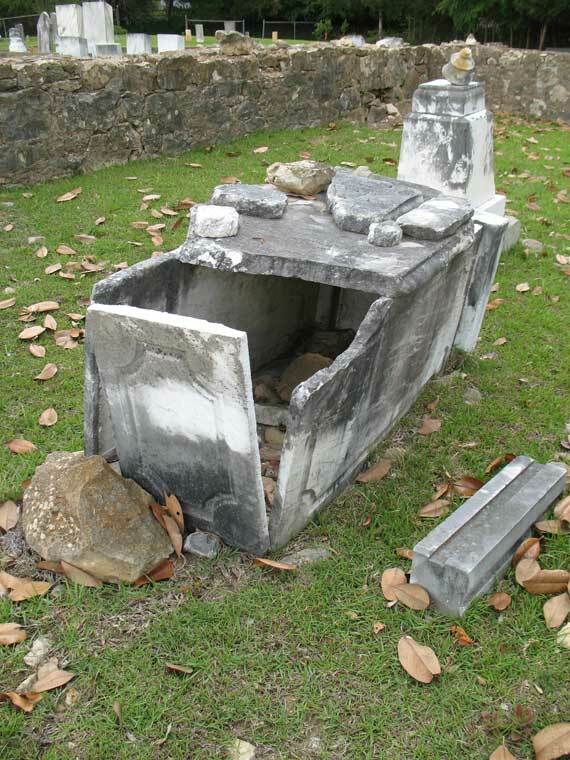 In old Middletown Cemetery in Winona, Montgomer County, MS is a stone engraved with Walter Ghoul, 1804 - 1891. While I couldn't locate a photo of this stone, I still found it a ghoulish good way to start off our little hunt! Here is James Pumpkin. Died 1864. 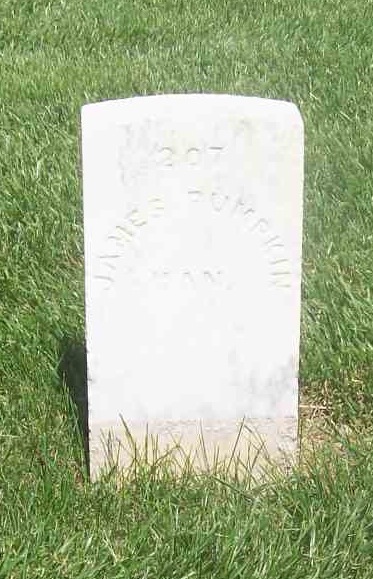 He is buried at Fort Scott National Cemetery in Kansas. 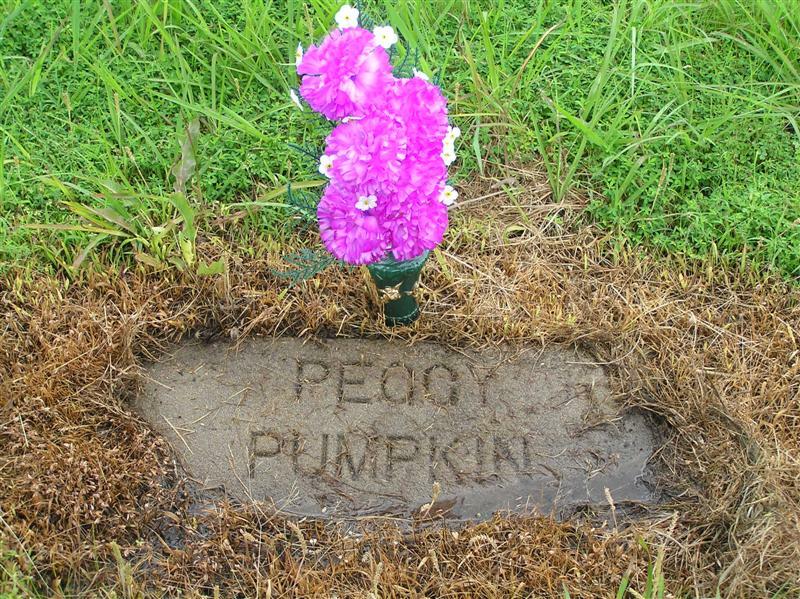 Here is Peggy Pumpkin, buried at Fisher Cemetery, Yonkers, Oklahoma. 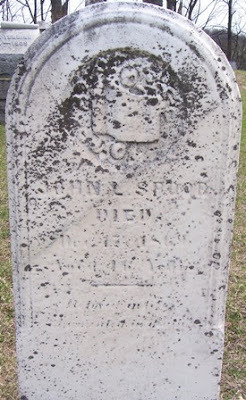 Although I don't have a photo, there is a William Witch buried at Calvary Cemetery and Mausoleum, Saint Louis, MO. 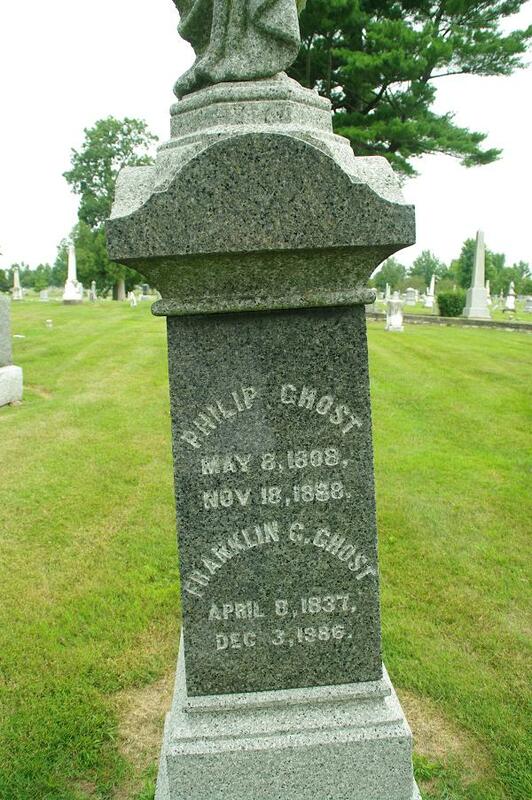 Here is Philip Ghost, buried at Forest Home Cemetery, Mount Pleasant, Iowa. John Spook, buried at South Hart Cemetery, Hart, Michigan. Frank Skeleton, who is buried at New Jerusalem Cemetery, Leithsville, Pennsylvania. 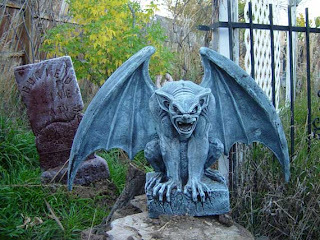 ...wh want this scary gargoyl looking over their grave! ...I can't bear to look at the snakes! 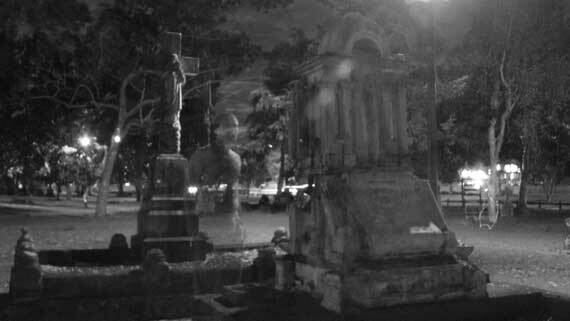 ...you just might see gostly images walking trough the cemetery at night! I have decided to once again return to my "What Is It?" 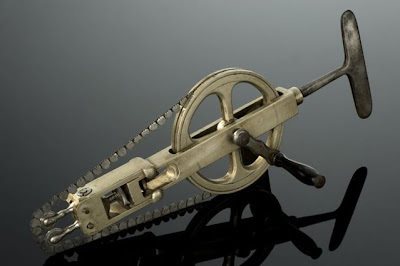 probing for Mystery Monday, only somewhat related to the blogging of the same name as prompted by GeneaBloggers, my Mystery Monday will ask you what something is. I'll give you 24-hours from the time of my post to use Your research skills to determine what the item is! You have 24-hours to identify! Leave your finds below in the comments. Married to Elizabeth "Betty" Miller. Having already discussed my Grandpa Bean and his owning a General Mercantile, I thought I would touch a bit on my memories of shopping when I was a child. 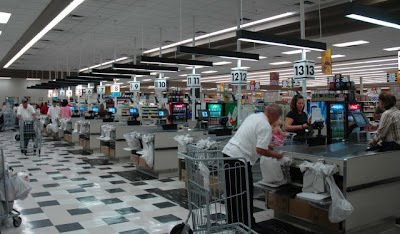 Being that my Dad was in the US Navy, we did most of our grocery shopping at the Naval Base's Commissary. Since when I was very young Dad only got paid once a month, we went grocery shopping just once a month. Meats and breads were immediately put into the freezer. Mom purchased powdered milk so as not to have to run to the store frequently [I didn't have real milk at my house until 1998 when I married Texican! He insisted on the real stuff. Now I can't even imagine going back to powdered milk!] Even margarine was stored in the freezer until ready to use! 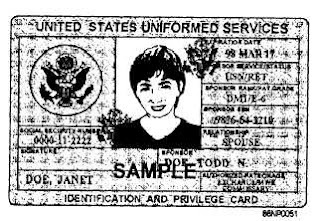 Once I became old enough to get a Military ID card, I was brought along with Mom to do the shopping, which had by this time increased to twice per month. I was first used to simply push a second grocery cart so Mom could get everything she needed. 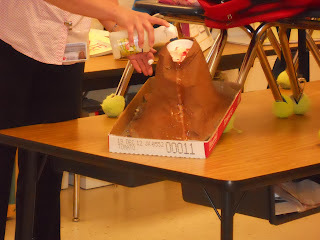 [Usually there was one cart filled with the items that could mash or "smoosh" up, such as breads, eggs, and the like. The second cart would carry canned good and meats. After a while, Mom decided that this was an excellent time to teach me abit about household economics. I began to help her make a grocery list [when using a grocery list, one seldom spends more than their budget!]. I began learning about comparison shopping, checking the prices of one brand against another. This was at a time before the comparative labels were put on grocery shelves! [You know those little labels that will tell you how much you are paying per ounce, pound, container, etc.] So, Mom had me practicing mathematics at the grocery shelves! "See Cyndi, this one is 6-ounces for $1.00, but if we look over here we get 12-ounces for $1.50. So which one is the better price per volume?" She also taught me how to check eggs before buying them, as well as tell when bread was fresh. As I got older she would hand me the money to pay for the groceries and it became my job to make sure the groceries came to the estimated amount we had planned on, and that the cashier gave me the correct amount of change. All in all, it gave me an excellent education on grocery shopping that had me prepared for a tight financial budget when I first married [I was still a teenager!]. Today it is simply second nature to me [I've been using these practices, along with couponing, for over 40 years! ], and many times it has been the difference between getting by and doing pretty good, simply because I knew how to budget and prepare a shopping list. 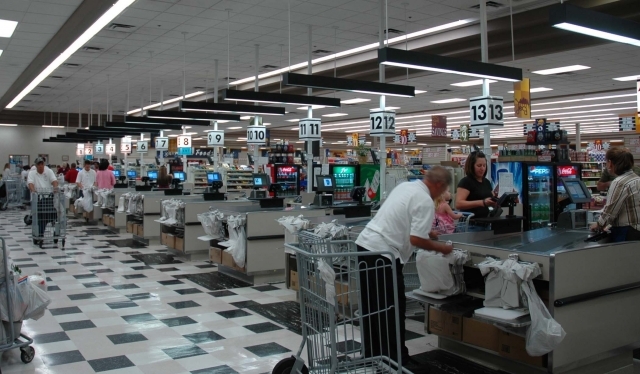 Did you help with your families grocery shopping when you were a kid? Do you do the shopping today? This recipe is one Aunt Veda used to make and serve warm with a scoop of vanilla ice-cream. It's especially yummy when autumn's cooling breezes begin to blow! I eat mine plain these days. 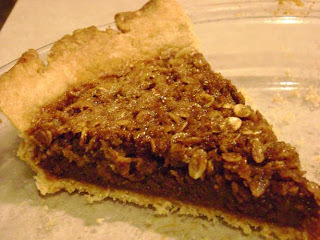 Just enjoying the delicious richness of the pie by itself! I never got to meet my Grandpa Bean. 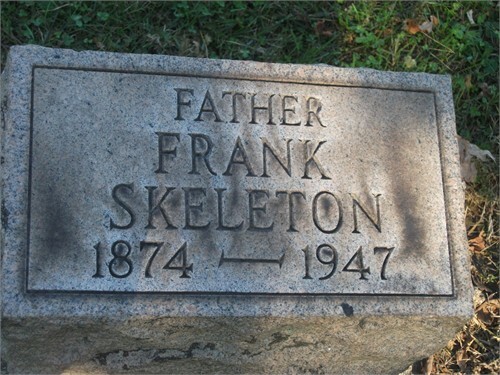 He died several years before I was born, when Dad was just a teenager. But I feel like I have come to know him so very well through my Dad's recountings of him, as well as my Aunt Rita's and Aunt Margaret's. Both of these aunts took the time to answer a young girls querying mind, and gave me insight into a man I so long to meet when I get to heaven! Grandpa Bean was born 1866, just a year after the Civil War ended. His mother followed his father to Ohio in the middle of the War. So, Grandpa was born in Cincinatti. Shortly after he was born on the 15th of December, the family packed up their belonging, and with their 5 children headed back to West Virginia in an oxen pulled wagon. It was so cold that they say Gr-Grandma Bean carried newborn Johnny inside the bodice of her dress to keep him warm. All of Grandpa's brothers were big, tall men. However, Grandpa stood only 5'7" and was slight of build. It is said that Grandpa used to tease and say that traveling in the cold weather as newborn stunted his growth! Grandpa tried several different business ventures during his lifetime, but seemed to really enjoy being a merchant. He owned stores in both Waiteville, in Monroe County, and in Gap Mills, just across the mountain from Waiteville. 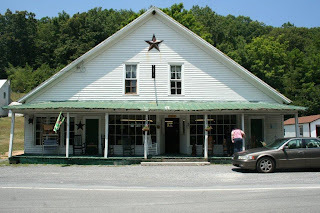 The store that he owned in Gap Mills remains standing today, and is still in business! Although it is no longer a "General Mercantile", but is owned by the local Mennonites and sells a wide assortment of handmade furniture and quilts an wide array of other handmade items. The outside remains the very same as when Grandpa owned it! This building was built before 1870. When I can earliest recall visiting here, there was even a hitching rail out front of the store from the old days! 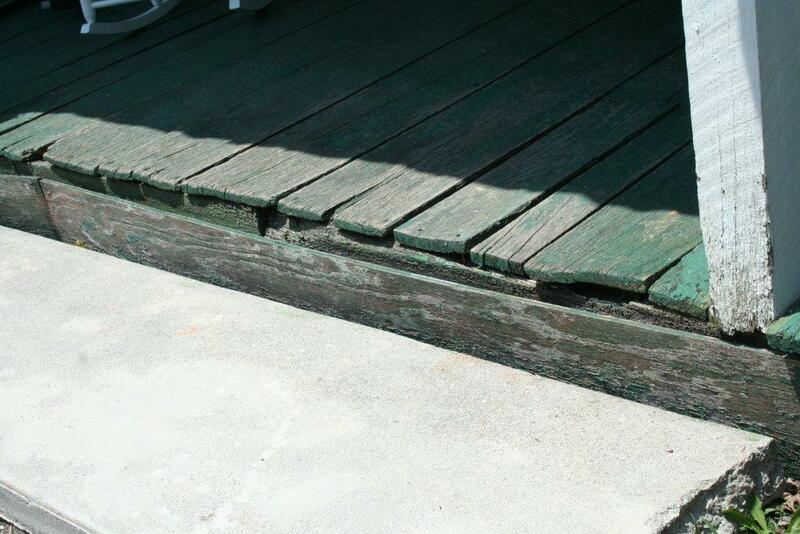 The porch floor looks just as ancient as the store! This slot was used to collect money for IOU's. Customer's could slip an envelope and money thorugh the slot when the business was closed. 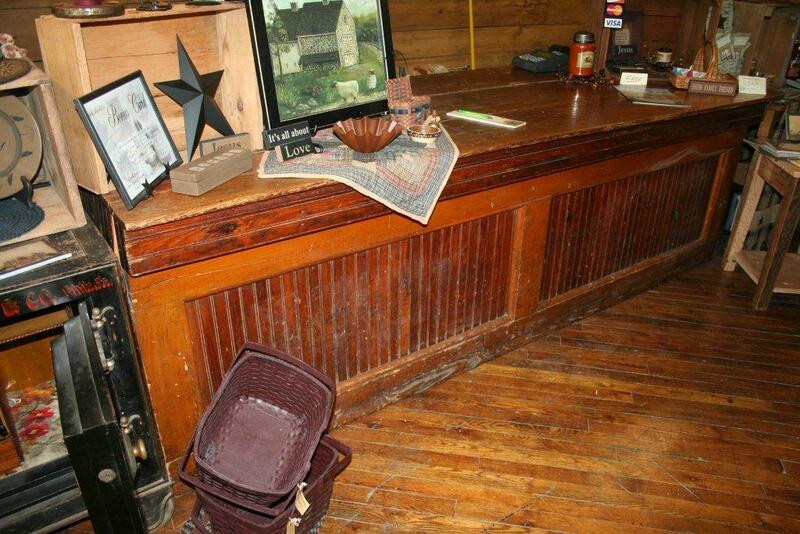 It was used into the 1970's when it was owned by the Patton family and was still a mercantile. Inside the store has gone from three rooms, a center mercantile with storage rooms on either side, to one very large room. 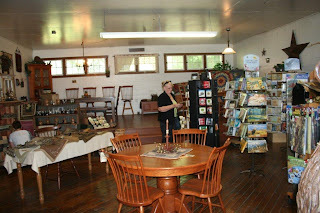 Here my lovely cousin, Janie, visits the store and is standing in the middle of the large room. 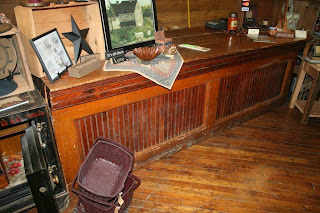 This old counter is original to the store and was used when my grandfather owned the establishment. And here is an old Coke cooler, straight from the 1950's. 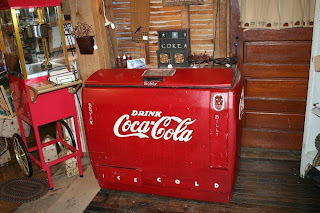 While not there when my grandfather had the place, I still find it a fun item to have in the store today! Whenever I visit the store I feel a strong bond to my grandfather, simply knowing that at one time he owned the business. 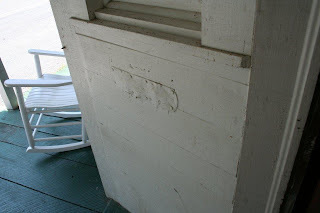 That feeling was much stronger and more pronounced before the renovations of the building and it was still used as a General Mercantile, but it still remains! I am blessed that I live amongst the areas that my grandfather lived and spent most of his life at. Many of our local families are the same families he knew. As a teen I often talked to older adults who knew him well, and was able to glean what the community thought of the man. It was always favorable, and I found he was well respected and a likeable person. Grandpa first married in 1895. He had 3 children with her, and then she died from complications of tuberculosis. He next married in 1907, and he had 9 children with his second wife. Unfortunately, following the birth of the last child, she died with complications from toxemia, in 1929. 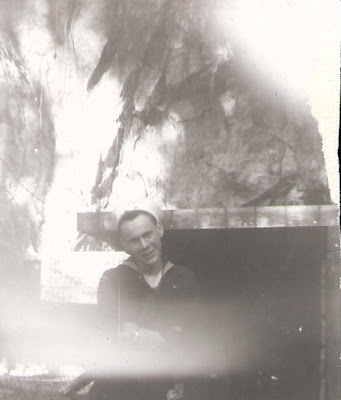 Lastly he married my Grandmother in 1935, and had 3 children with her. All total, Grandpa was the father of 15 children and their births range from 1896 to 1943! He was actually in his 70's when he fathered the last 3 children with my grandmother! As an old man he shared his lifelong memories with one of his sons, my Dad. And because of this, I've had wonderful insight into his life. 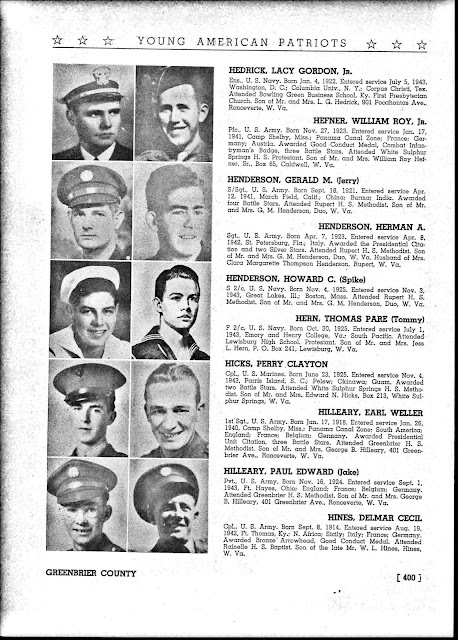 I've also been able to find proof of many things with the family, simply because he told Dad so many wonderful stories! Is there a special place from one your ancestors that you have visited? 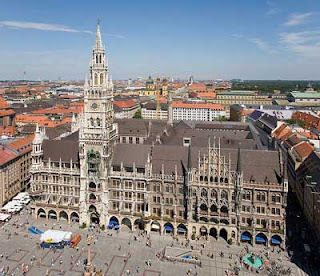 Or one that you would like to visit? 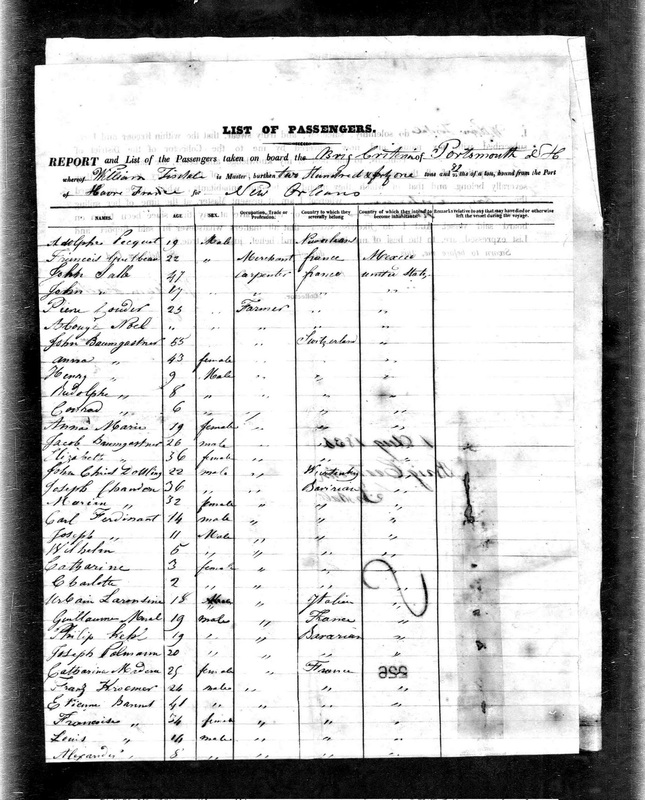 My dream is to one day find the proof that my gr-gr-gr-grandfather came from Ireland, and just where it was. Lastly, I'd like to visit it before it is too late for me! John is buried here, at Byrd's Prairie Cemetery, Tupelo, Coal County, Oklahoma. 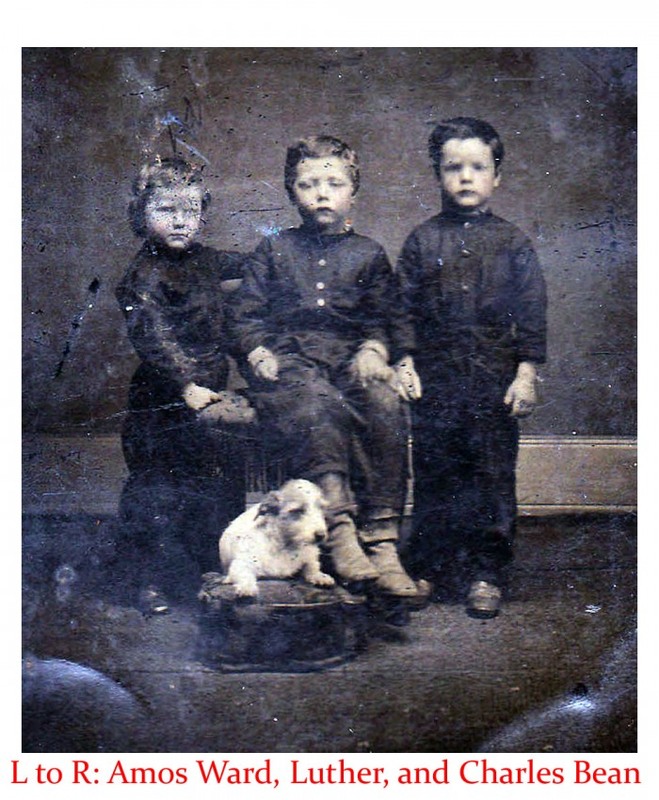 John was the son of Archibald Marmaduke Bean [1826-1899] and his wife [abt 1826- abt 1852]. 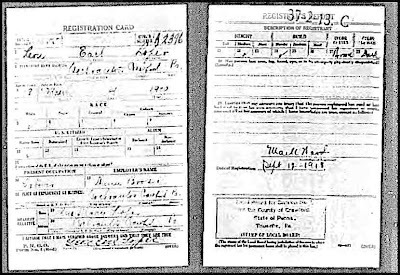 Unfortunately for us, there is very little we can make out of this 1918 registration. We are able to make out his name, Leon Earl Loper. Moving down, we are able to just make out his birthdate, 04 March 1900. We can tell that there is a mrk of some kind under RACE in the WHITE box. Unfortunately for us, nothing else is legible down to his signature, which we can just make out. We can see that [on the back of the card], he is a man of medium height, slender build, with brown eyes and dark hair. Lastly we able to see that the card was filled out on 12 September 1918 in Craford County, Pennsylvania. Leon died 19 July 1946. He was the husband of my Aunt Margaret. He ws the father of two children, Mary Ann [1941-2010] and Robert Leon "Bob". He is buried at Hillcrest Memorial Park, Mercer County, Pennsylvania. Aunt Margaret is now 97 years old and resides with in Ohio. Lorine McGinnis Schulze over at Olive Tree Genealogy has issued us a new exercise for the week! It's Week 43 of our Sharing Memories - A Genealogy Journey Please join us each Sunday as we share our memories of childhood. Your descendants will be thankful that you did! Share a memory here as a comment, or on your own blog, or in a private journal, but write! Leave a legacy for your children and grandchildren. I couldn't wait to delve into this one! And once, well, I hid a a soda bottle in our garden and slid a just sprouting cucumber into the bottle, growing a cucumber into the bottle until it filled the entire bottle. When it was so full I was afraid the bottle might burst, I picked the cuke, brought the bottle into the house, filled it with vinegar and then put a cork stopper into it. And it might be that I told my brothers... the pickle queen brought us pickles this way. And who is the pickle queen, they asked. I might have replied... she's a fairy queen who lives under the cabbage leaves. And one last garden prank. I had my brothers plant a whole pound of uncooked spaghetti once. Why? Well... it might be I told them.... licorice plants grow from it. Yes... I know! It might be that I was a little wicked in doing these things [I was 15 years old!]. Then again, it might be... I was simply a creative mind!!! A wonderful song that certainly brings to mind those many years I spent away from my own home while traveling. 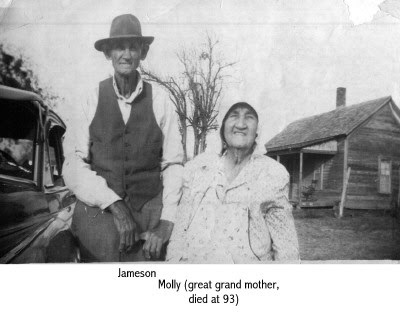 Molly was the daughter of Emanuel Jefferson Clements [1840 - 1918] and Rachel Hollabaugh [1846 - 1907]. Molly was born 1870 in Tennessee. 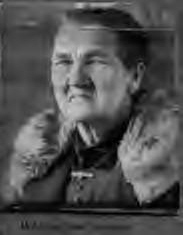 She married Andrew Jackson Thompson [1860-1941] and the couple went on to have 10 known children: Mary Azlee, Susan, Alex, Cass, Cora, Nora, Mary Lou, John, Laura and Jameson. Molly died in Hill County, Texas. 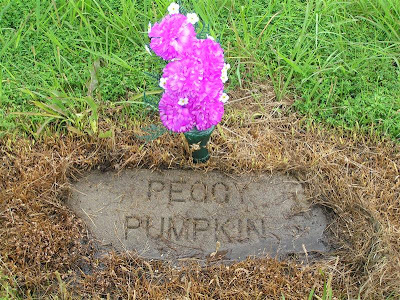 She is buried at Ridge Park Cemetery, Hillsboro, Hill, Texas. My worst subject, in all my school daze, was chemistry. I simply could not remember even the basics! The Periodic Table remains a great mystery to me to this very day! I was so bad at this that after I became an adult with a home of my own... I even exploded my own bathroom toilet! Answer: Very simple really. Simply stand back and pour into the toilet bowl about a gallon of bleach, a can full of Ajax, and then a little degreaser for good measure. Like I said stand back! On a different note... when cooking and baking, chemistry is most definitely involved! But then again, I've baked bread that came out like crackers, and donuts that were harder than the crackers! 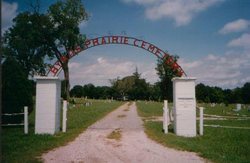 Logging on in the small town of New Albany, Floyd County, Indiana to processors Walter Beane and Lois Dreher Beane, Cyndi began life with no memory at all. After all, there being no memory prior to logging on for the very first time! 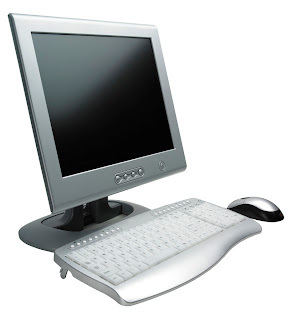 At the age of two, the processors added another drive to their system and named it Eydie. Separating her drive from the processors in 1975, Cyndi joined up with another drive, Andy, and they wrote five new programs: Chris, David, Debbie, Mike and Crystal. In 1990 after much hard drive abuse Andy disconnected with Cyndi and the little programs they had written together. But the gods of storage were not finished with Cyndi yet! In 1998 she added another drive to the system when she joined with Johnnie, and from there many, many memory banks have been added to their joint drive. All containing years of joyful love and happiness. Cyndi's greatest passion was adding information into her genealogy program and researching for more. She always said the story would never be complete. This morning however, with a failing hardrive, but full memory, Cyndi logged off and went to the big program writer on high. She leaves behind generations of programs that she helped to write through influence, and love. A memorial service will held to honor Cyndi this afternoon, after which the system will be rebooted and Cyndi will be re-incarnated into a lighter, trimmer, shorter model. Texican never knew his father. His Mother and Father were divorced when he was about 2 years of age. He never heard anything nice about his father, his mother was so distraught from the brief marriage, which resulted in the births of Texican and his deceased brother, Allan Ray [1950-2001]. 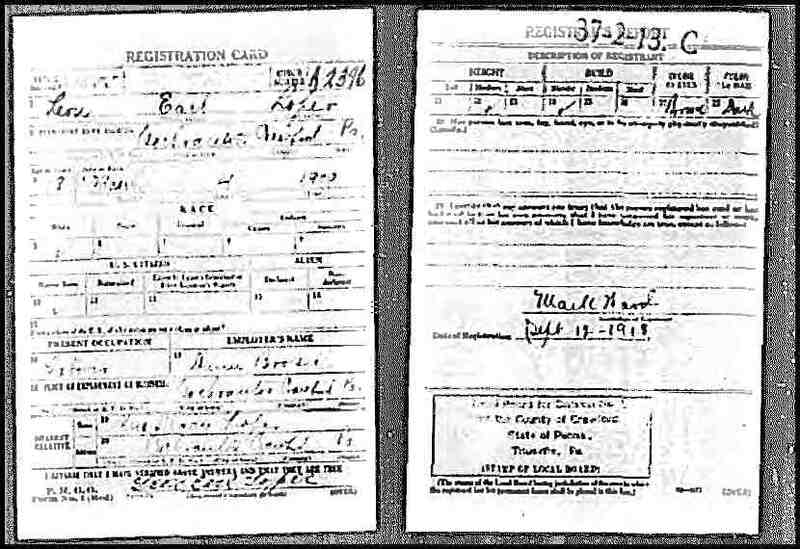 So the only information we have regarding his father, or his father's family, is that which we've managed to extract from records since we began our genealogical journey together, research beginning in 2001. Texican's great-grandmother remains a mystery. [Although several online trees give her a surname, proof has not been satisfactorily met yet]. And this is as far as we have determined, with proof, for Fannie. We keep plogging along, and have all hopes of one day uncovering exactly who this lady was! Do you have a grandparent [or great-grandparent] that you have been unable to determine their surname on? What course of action have you followed so far? How do you plan to procede? This was one of those dishes that Mama made frequently. And it was actually one of those dishes that she excelled at! [Mama didn't let any of us go hungry... but her culinary skills left much to be desired for!] This is one, however, that I sincerely doubt anyone could do better than Mama! 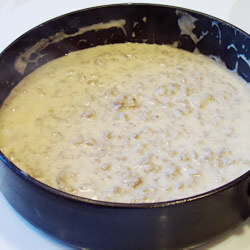 This delicious gravy can be served over toast, over biscuits, over regular bread, over rice, over egg noodles, or even over linguine! And I've not met a kid yet that won't eat it! You can substitute the ground beef with dried beef, which can be kept on the shelf, which makes this a great pantry staple meal!!! 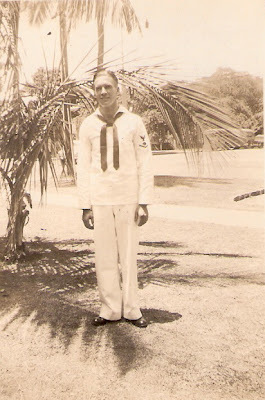 In 1938 William "Bill" Beane was granted a 7-day furlough to visit his family while he was enlisted in the US Marine Corps. Jameson Thompson [1902 - 1970] and his mother, Mary Ellen [aka: Molly] Clements Thompson [1870 - 1959]. Born Viranda Elizabeth Bean and known simply as "Betty", she was the fifth born child of William McHarvey Bean [1832 - 1890] and Margaret Smith Perkins [1826 - 1891]. 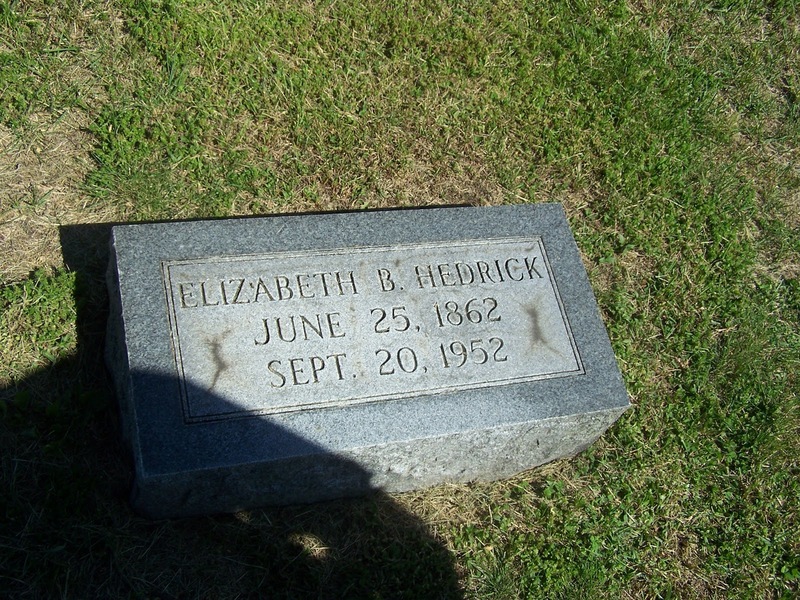 On 01 Jun 1879, Betty married James Joseph Hedrick [1859 - 1934] in Monroe County, WV. He was the son of Moses Hedrick and Mary Elizabeth Chennault. Betty and James went on to have eleven children: Bert, Margaret, Clara, Cora, Lulu, Myrtle, William, Clyde, Hazel, Gretna and James. 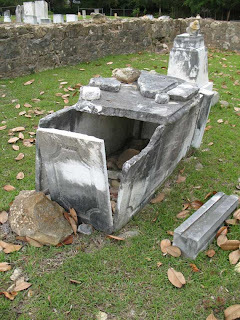 Betty is buried in the Salem Cemetery, Organ Cave, Greenbrier County, West Virginia. Betty was my Grandfather's sister. 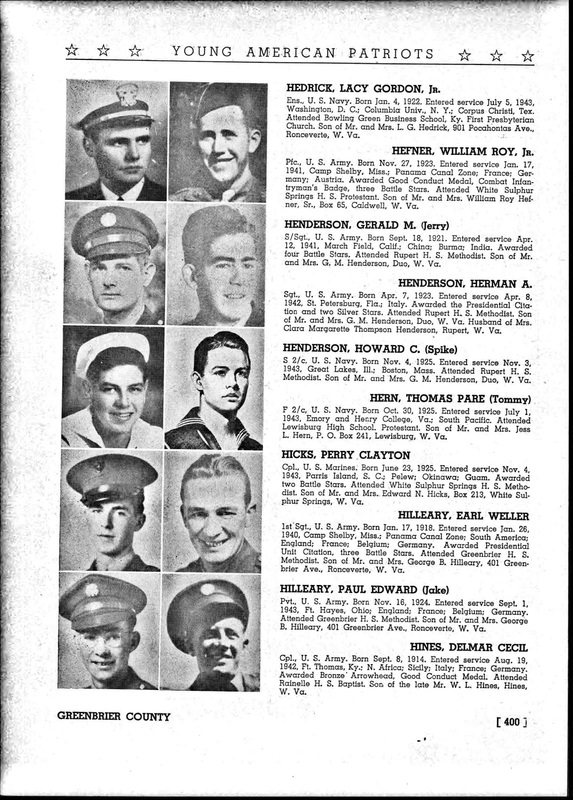 "Ens., U.S. Navy. Born Jan. 4, 1922. ENtered service July 5, 1943, Washington, D.C.; Columbia University, N.Y.; Corpus Christi, TX. Attended Bowling Green Business School, Ky. First Presbyterian Church. Son of Mr. and Mrs. L.G. 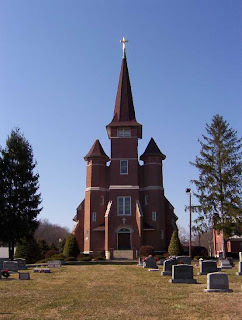 Hedrick, 901 Pocahontas Ave., Ronceverte, W.Va."
Randy, over at GeneaMusings has offered up another great genealogy challenge for Saturday Night Fun! But like most other Saturdays, I didn't read the challenge until today! So, here I am, late as almost always! But found this another great challenge! Thanks again Randy! And please keep those SNGF challenges coming! During a train trip in Germany, I managed to get a pic of the station across the square from the station at the hotel we were staying at. I think this was at Ansbach. 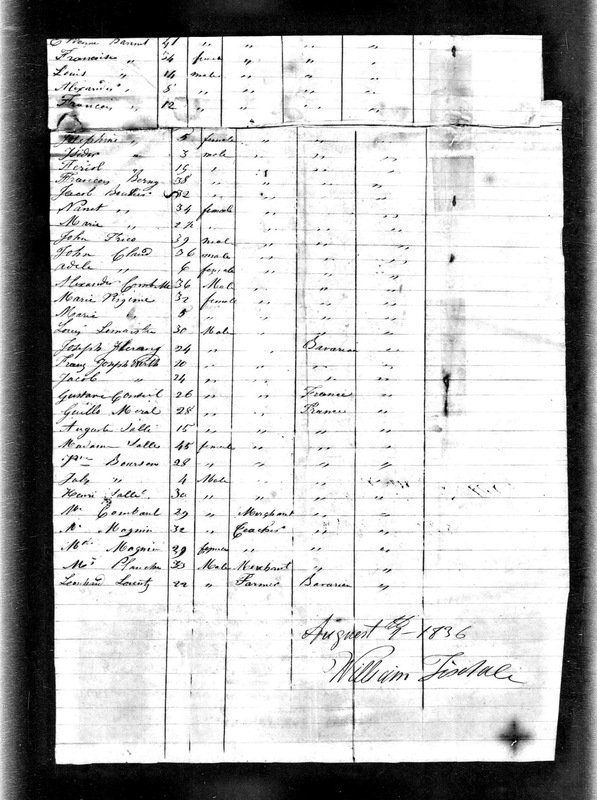 Unknown No Longer: A Database of Virginia Slave Names contains personal information about enslaved Virginians gleaned from some of the more than eight million processed manuscripts in VHS collections. VHS archivists and historians spent the spring and summer combing through material, such as diaries, letters, insurance papers, wills, freedom papers, receipts, and deeds to extract raw information for the database. To date, the database includes more than 2,000 names and digital images of hundreds of documents from which the information was extracted. If you haven't already, I encourage you to visit the VHS website to utilize the free Unknown No Longer database. Their plan is to continue to review material in the VHS collection and intend to add thousands more names to the database. Please check back frequently to review new information added to the online material. The nuggets of information found in this database will help us reconstruct the lives of people long gone and will put flesh on those that will be unknown no longer. Today we will take a look at yet another line of Texican's [my husband], the Surber's. WHen I was a little girl, we used to travel from our home in Norfolk, Virginia, to visit my mother's parents in Floyd County, Indiana. Granny effortlessly blended her heritage of French cooking with my Grandpa Dreher's of German. 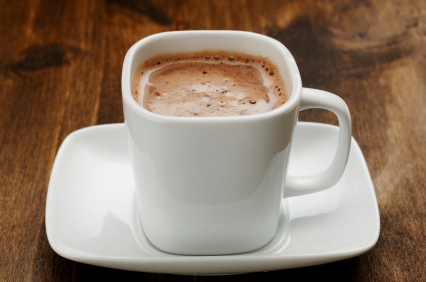 On a cold winter's night, Granny wuld slowly make this delicious treat for us. Even now, Texican and I enjoy this late at night, just before bed. 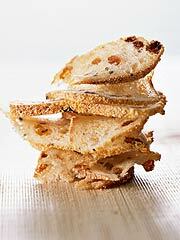 We both have wonderful childhood memories of our grandmother's serving this with love! He thinks he was in Malta at the time this photo was taken. This is my handsome Dad, Walter Beane, about 1957. Ettiene Banet [1795-1871] was born in Arcy, France, to Ettiene Banet, Sr. and his wife Jeanne Claudine Guignard. 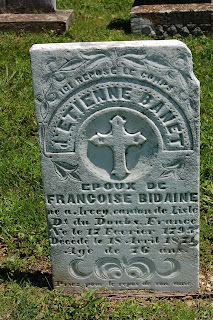 He married Francoise Bidaine [1802 - 1877] on 01 Oct 1821 in Arcy. 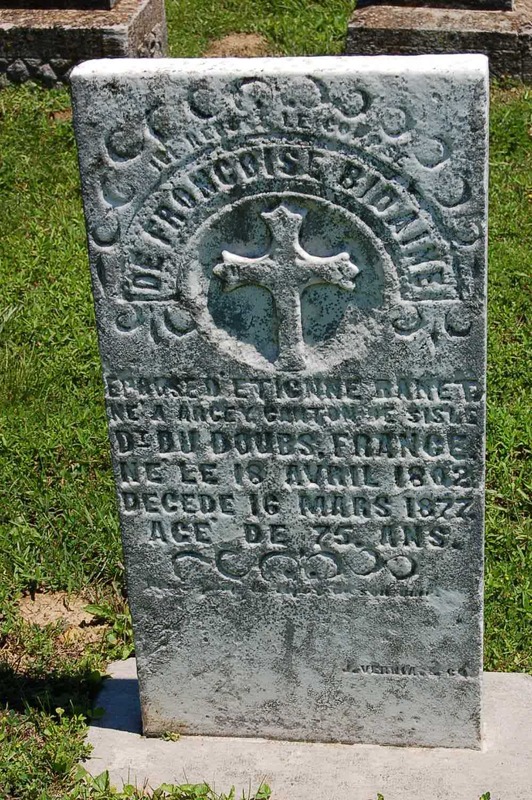 The couple had 7 known children before arriving in New Orleans in 1836 aboard the Brig Criterion: Paul Louis, Francois, Francois-Emanuel (1825-1828), Josef Alexandre, Josephine, Isadore, and Ferre'ol. After they arivedin this country, they moved north from New Orleans to Floyd County, Indiana. And the couple went on to have Aime Appolinare, Adele Philomene, Joseph Ettiene, Catherine and Adolpj J., for a total of 12 known children. 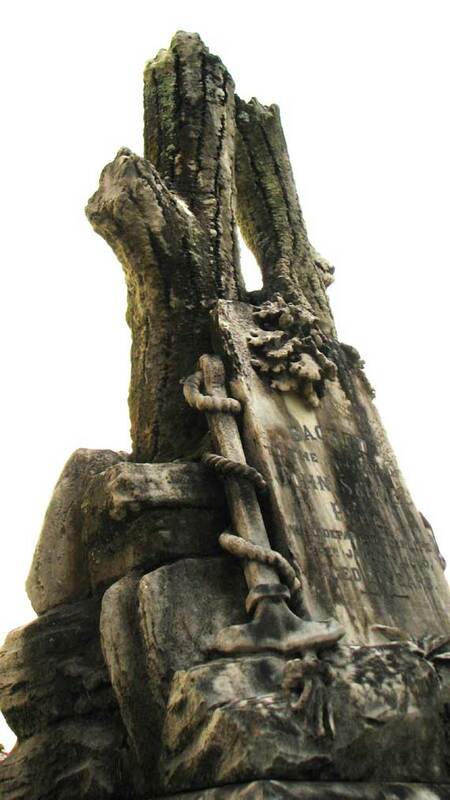 The Brig Criterion arrived in New Orleans, Louisiana in August of 1836, having sailed from Le Havre, France. 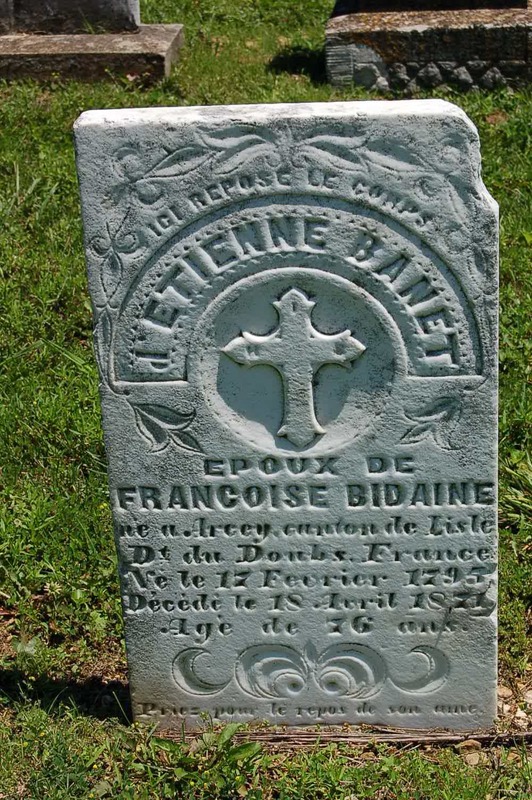 Among it's many passengers came my great-great-great-grandparents, Ettiene Banet and his wife Francoise Bidaine, and several of their children. of Havre France for New Orleans"
Franciscus " 34 Female " " "
Louis " 14 Male " " "
Alexandre " 8 Male " " "
Francois " 12 Male " " "
Josephine " 5 Female " " "
Isidor " 3 Male " " "
Ferol " 15 Male " " "
The young boy, Isidor, who is only 3 at the time of their arrival to New Orleans, was my great-great-grandfather. The family were stonemasons by trade, and they migrated north to Floyd County, Indiana where descendants can be found to this day.